Did One of America’s First Feminists Oppose Abortion? As Feminists for Life has gained more attention in the media, FFL’s pro-life feminist legacy has met with increasing suspicion and skepticism, with some accusing FFL of hijacking America’s leading suffragist, Susan B. Anthony. “There’s absolutely nothing in anything that she ever said or did that would indicate she was anti-abortion,” Gloria Feldt, former head of Planned Parenthood Federation of America, told Women’s eNews. Abortion was not an issue to which Anthony devoted much time. But the historical evidence that does exist points to her opposition to abortion. 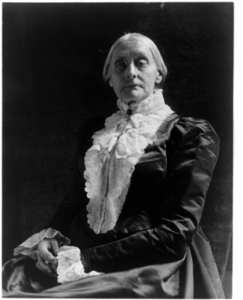 What did Susan B. Anthony say about abortion? How do modern pro-life feminists continue her legacy? Early 18th- and 19th-century suffragist writings regularly referred to abortion as “ante-natal murder,” “child murder,” “ante-natal infanticide,” or “infanticide,” as Derr points out in ProLife Feminism Yesterday and Today.2 These early feminists regarded abortion as violence against women and their children and attributed its practice to the denial of their rights and a dearth of nonviolent choices for women. While early feminists were indeed concerned about abortion’s physical and psychological dangers to women, as advocates of abortion point out, they also opposed abortion itself — as their use of the term “child murder” implies. Like Feminists for Life today, the early feminists saw abortion as a symptom of, not a solution to, the struggles women face. And the early feminists, like FFL, sought to eradicate abortion by addressing its root causes. The most important evidence regarding Anthony’s own stance on abortion are those writings which may be attributed to her with certainty. Her comments relating to abortion are few, but considered in the broader context of early feminist writings, it is reasonable to conclude that Anthony was truly both pro-woman and pro-life. This speech clearly presents abortion as a symptom of the problems faced by women, especially when subjected “to the tyranny of men’s appetites and passions.” Anthony argues that it is not sufficient to address these effects; “the cause must be removed… the taproot must be severed” by enfranchising women, acknowledging their rights in family and society, and empowering them to make nonviolent choices. [March 4] Sister Annie in bed — been sick for a month — tampering with herself — and was freed this A.M. what ignorance & lack of self-government the world is filled with. In Anthony’s day, if a father willed custody of his children to someone other than his wife and then died while she was pregnant, the mother would be denied custody of her child as soon as the child was born. Anthony’s statement shows concern for the lives and well-being of both the mother and the yet unborn child. This policy undermines the belief held by some advocates of abortion that the early feminists’ opposition to abortion was due to the dangers of the procedure performed late in pregnancy. In fact, the patent medicines that The Revolution refused to advertise were often abortifacients designed to induce early miscarriage. Quack advertisements may lie never so fearfully about the stuffs offered for sale; but they speak truly of those who make and sell them, and not less truly of their accomplices of the press that for gain and greed, will advertise and puff their foul preparations. When conductors of public journals are so poor in pocket and principle as to lend themselves to so foul a work, they should be read always between their lines. They and their advertising patrons in such business should be read out of their occupation by a wholesome regard for the moral and material health of the community…. Sword, pestilence and famine combined, are to be preferred to such a presence…. Quack Medicine venders, however rich, proud, and pretentious, Foeticides and Infanticides, should be classed together and regarded with shuddering horror by the whole human race…. Guilty? Yes, no matter what the motive, love of ease, or a desire to save from suffering the unborn innocent, the woman is awfully guilty who commits the deed. It will burden her conscience in life, it will burden her soul in death; but oh! thrice guilty is he who, for selfish gratification… drove her to the desperation which impelled her to the crime. Much as I deplore the horrible crime of child-murder, earnestly as I desire its suppression, I cannot believe… that such a law would have the desired effect. It would only be mowing off the top of the noxious weed, while the root remains. We want prevention, not merely punishment. We must reach the root of the evil, and destroy it. Was this article, which appeared in Susan B. Anthony’s newspaper, written by Anthony? 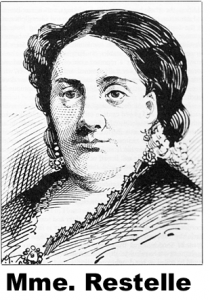 Ann Gordon, editor of The Selected Papers of Elizabeth Cady Stanton and Susan B. Anthony, told Women’s eNews that Anthony did not write the article, and Lynn Sherr concurred. But Mary Krane Derr, co-editor of ProLife Feminism Yesterday and Today, has argued that the article may indeed be Anthony’s. At the time, members of The Revolution staff frequently signed articles with their initials: Elizabeth Cady Stanton as “E.C.S.,” Paulina Wright Davis as “P.W.D.,” and Susan B. Anthony as “S.B.A.” Anthony was also known in the writings of others as “Miss A.” Sherr’s reported claim that “Anthony didn’t sign her pieces ‘A.’”16 presumes a conclusion that needs to be proven. The “Marriage & Maternity” article bears striking resemblance to Anthony’s “Social Purity” speech in language, concepts, and themes. Laws, according to both, were wrongly used to punish people whose actions were impelled by desperate circumstances — people who could not support themselves financially, vote, or even, in many cases, testify in court. Both pieces regard abortion as a social ill, a consequence of wrongs perpetrated by men against women that is best eradicated by addressing its root causes and expanding nonviolent choices. Both uphold the right of women to refuse the sexual demands of their husbands as a necessary part of the solution. Despite their different subjects and modes of communication, the similarities are remarkable. Nevertheless, Feminists for Life is cautious about the attribution of “Marriage & Maternity.” In FFL materials, it is simply said to have appeared in Susan B. Anthony’s publication, The Revolution. “If one reads the actual text of The Revolution, and every mention of abortion in Anthony’s newspaper opposed abortion, then how can anyone come to the conclusion that she was in favor of it?” asks Serrin Foster. Susan B. Anthony’s words and actions, in the broader context of early American feminism, point to the logical conclusion that Anthony was truly pro-woman and pro-life. Feminists for Life, just as Anthony and our other feminist foremothers, recognizes that abortion is a reflection that our society has failed to meet the needs of women. In response, we are dedicated to systematically eliminating the root causes that drive women to abortion — primarily lack of practical resources and support — through holistic, woman-centered solutions. We promote the resources women want and need to make nonviolent choices, and our own efforts are shaped by the core feminist values of justice, nondiscrimination, and nonviolence. FFL’s mission increasingly resonates with those who find abortion to be an unacceptable “solution” to the difficulties that pregnant women and parents face. The author is grateful for the research and assistance provided by Mary Krane Derr, co-editor of ProLife Feminism Yesterday and Today: Expanded Second Edition. 1 Quoted in “Susan B. Anthony’s Abortion Position Spurs Scuffle” by Allison Stevens, Women’s eNews (October 6, 2006), http:// www.womensenews.org/article.cfm?aid=2915. 2 ProLife Feminism Yesterday and Today: Expanded Second Edition, Mary Krane Derr, Rachel MacNair, and Linda Naranjo-Huebl, editors (Xlibris; 2005). 3 Woodhull’s and Claflin’s Weekly, November 19, 1870. 4 Derr et al., 43, emphasis added. The passage also appears in Lynn Sherr’s Failure Is Impossible: Susan B. Anthony in Her Own Words (New York: Random House; 1995), 4. 5 The author called the Women’s Rights National Park in Seneca Falls, New York, to confirm Robert Livingston Stanton’s birth on 14 March 1859. 8 Anthony’s copy of Wollstonecraft’s classic resides in the Library of Congress’ Susan B. Anthony Collection (http://memory.loc.gov/ammem/awhhtml/awrbc4/). 9 Mary Wollstonecraft, A Vindication of the Rights of Woman (London: Penguin Books; 1985), 249. 10 Derr et al., 43, quoting from Frances E. Willard’s Glimpses of Fifty Years:The Autobiography of an American Woman. 11 “What the Press Says of Us,” The Revolution, February 5, 1868. See also James C. Mohr, Abortion in America (New York: Oxford University Press; 1978), 47ff. 12 “Important Movement,” The Revolution, April 8, 1869. 13 The Revolution, March 26, 1868. 15 The Revolution, July 8, 1869. A significant excerpt appears in ProLife Feminism Yesterday and Today: Expanded Second Edition, 44-47.